Lord, how great is our dilemma! In Thy Presence silence best becomes us, but love inflames our hearts and constrains us to speak. Were we to hold our peace the stones would cry out; yet if we speak, what shall we say? Teach us to know that we cannot know, for the things of God knoweth no man, but the Spirit of God. Let faith support us where reason fails, and we shall think because we believe, not in order that we may believe. In Jesus’ name. Amen. The child, the philosopher, and the religionist have all one question: “What is God like?” This book is an attempt to answer that question. Yet at the outset I must acknowledge that it cannot be answered except to say that God is not like anything; that is, He is not exactly like anything or anybody. We learn by using what we already know as a bridge over which we pass to the unknown. It is not possible for the mind to crash suddenly past the familiar into the totally unfamiliar. Even the most vigorous and daring mind is unable to create something out of nothing by a spontaneous act of imagination. Those strange beings that populate the world of mythology and superstition are not pure creations of fancy. The imagination created them by taking the ordinary inhabitants of earth and air and sea and extending their familiar forms beyond their normal boundaries, or by mixing the forms of two or more so as to produce something new. However beautiful or grotesque these may be, their prototypes can always be identified. They are like something we already know. The nearer he approaches to the burning throne the less sure his words become: “And above the firmament that was over their heads was the likeness of a throne, as the appearance of a sapphire stone: and upon the likeness of the throne was the likeness as the appearance of a man above upon it. And I saw as the colour of amber, as the appearance of fire round about within it…. This was the appearance of the likeness of the glory of the Lord.” Strange as this language is, it still does not create the impression of unreality. One gathers that the whole scene is very real but entirely alien to anything men know on earth. So, in order to convey an idea of what he sees, the prophet must employ such words as “likeness,” “appearance,” “as it were,” and “the likeness of the appearance.” Even the throne becomes “the appearance of a throne” and He that sits upon it, though like a man, is so unlike one that He can be described only as “the likeness of the appearance of a man.” When the Scripture states that man was made in the image of God, we dare not add to that statement an idea from our own head and make it mean “in the exact image.” To do so is to make man a replica of God, and that is to lose the unicity of God and end with no God at all. It is to break down the wall, infinitely high, that separates That-which-is- God from that-which-is-not-God. To think of creature and Creator as alike in essential being is to rob God of most of His attributes and reduce Him to the status of a creature. It is, for instance, to rob Him of His infinitude: there cannot be two unlimited substances in the universe. It is to take away His sovereignty: there cannot be two absolutely free beings in the universe, for sooner or later two completely free wills must collide. These attributes, to mention no more, require that there be but one to whom they belong. He is like is of course a composite of all the religious pictures we have seen, all the best people we have known or heard about, and all the sublime ideas we have entertained. If what we conceive God to be He is not, how then shall we think of Him? If He is indeed incomprehensible, as the Creed declares Him to be, and unapproachable, as Paul says He is, how can we Christians satisfy our longing after Him? The hopeful words, “Acquaint now thyself with him, and be at peace,” still stand after the passing of the centuries; but how shall we acquaint ourselves with One who eludes all the straining efforts of mind and heart? And how shall we be held accountable to know what cannot be known? ”Canst thou by searching find out God?” asks Zophar the Naamathite; “canst thou find out the Almighty unto perfection? It is high as heaven; what canst thou do? deeper than hell; what canst thou know?” ”Neither knoweth any man the Father, save the Son,” said our Lord, “and he to whomsoever the Son will reveal him.” The Gospel according to John reveals the helplessness of the human mind before the great Mystery which is God, and Paul in First Corinthians teaches that God can be known only as the Holy Spirit performs in the seeking heart an act of self-disclosure. The answer of the Bible is simply “through Jesus Christ our Lord.” In Christ and by Christ, God effects complete self-disclosure, although He shows Himself not to reason but to faith and love. Faith is an organ of knowledge, and love an organ of experience. God came to us in the incarnation; in atonement He reconciled us to Himself, and by faith and love we enter and lay hold on Him. Himself, and not as her imagination says He is, and pictures Him.” ”What is God like?” If by that question we mean “What is God like in Himself?” there is no answer. If we mean “What has God disclosed about Himself that the reverent reason can comprehend?” there is, I believe, an answer both full and satisfying. For while the name of God is secret and His essential nature incomprehensible, He in condescending love has by revelation declared certain things to be true of Himself. These we call His attributes. *Article above adapted from A.W. Tozer. The Knowledge of the Holy. Chapter 2. Harper One, 1978. 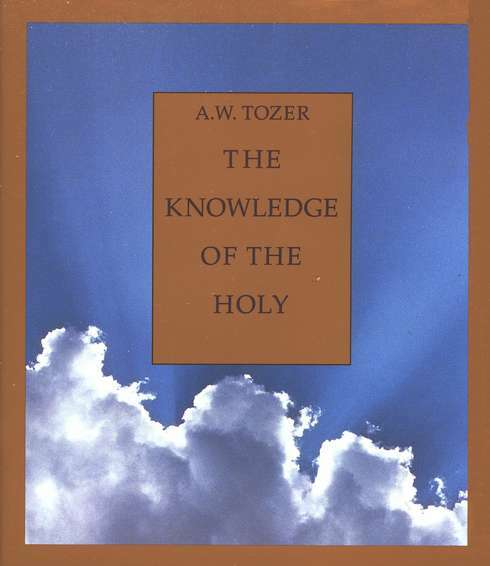 Tags: A. W. Tozer, God's incomprehensible, The incomprehensibility of God, The Knowledge of the Holy, to comprehend the Incomprehensible, What is God like?